Smaller than our popular Canvas Tote Bag, this durable color-handled bag will soon be a contender for most popular canvas tote. Use this customized tote for the perfect bridal party gift or to use during your wedding planning. Someone is drunk in love while all the others are just drunk. 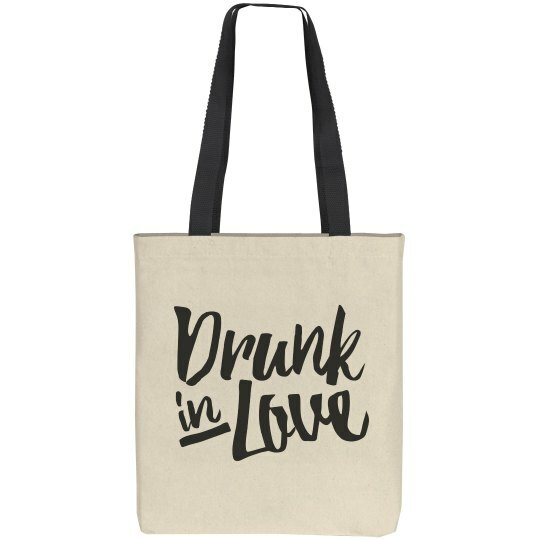 This drunk in love bag goes perfectly with the just drunk tote, so get your bride this bag for her to carry all of her wedding things in and get yourself the other to carry a couple bottles of champagne.